Treasure Island viewed from above. Mayor Gavin Newsomwent to Washington D.C. to negotiate for Treasure Island to become a part of the City and he did just that. 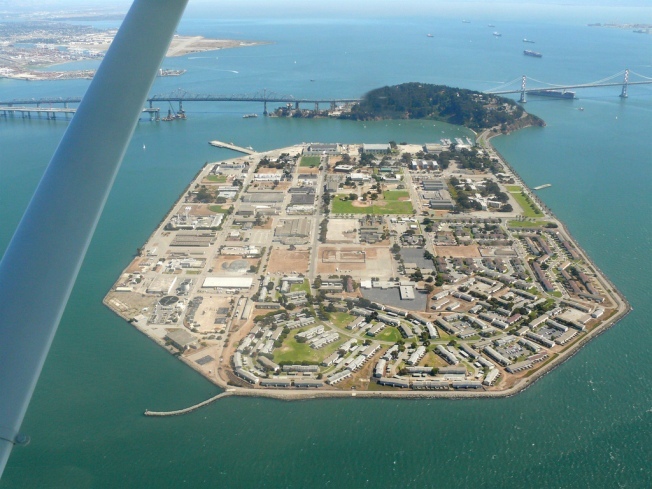 Newsom reached an agreement with the U.S. Navy to transfer the former military base to San Francisco for a $55 million guaranteed payment over several years and additional considerations that could bump the price tag north of $105 million. "We can finally begin the hard work of making sure the city's grand vision for Treasure Island can be realized," Newsom said in a prepared statement, according to the San Francisco Chronicle. The fair market value of the island had been a major sticking point. The Navy had said it wanted $240 million for Treasure Island while San Francisco previously believed it to be worth only $11 million. The deal opens the door for what could become a bold new world within the City. There have been calls for 6,000 to 8,000 residences to be built on the island farmed out to individual architects to avoid "architectural monoculture."